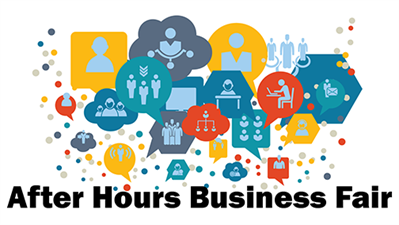 Build a year's worth of business in three hours! Do not miss your chance to get in on the biggest marketing opportunity of the year! Special offer for regional chamber members! Members of other area chambers will receive our member pricing. Sponsorship includes: Prime booth placement, listing on all promotional materials, logo listing on program cover, listing in This Week's Chamber newsletter, logo on, and company recognition announcements throughout the Business Fair. Your Business Fair Guests get FREE Parking, FREE Appetizers and chances to win some great DOOR PRIZES!